Considered as the “water tower” of Morocco, the Middle Atlas (which Djebel Bou Naceur peaks is 3356m) offers to the amateurs of kayak a territory of discovery and adventures. It is in the heart of this massif, fief of the Berber people famous for their smile and outstanding hospitality, that we invite you to live the adventure of the Moroccan kayak. Between discovery and technical progress, we will discover the famouses Oueds Oum Erbia, N’ Fiss, Assif Melloul and we will get ready for an overnight kayak trip on the Oued Ahensal. 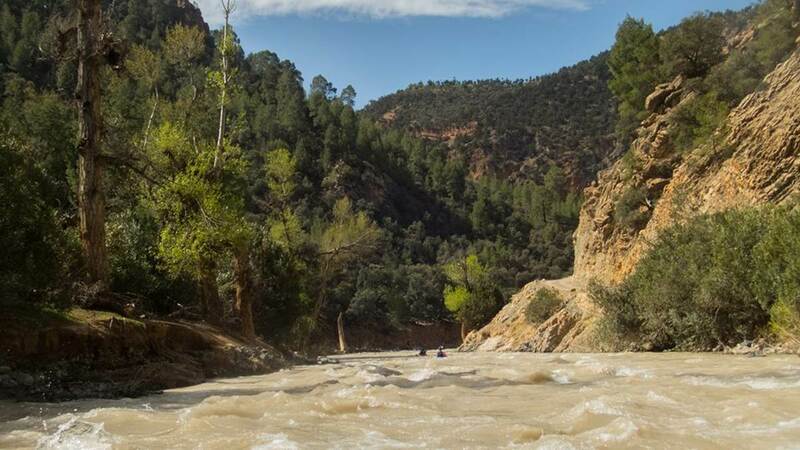 It is in Tilouguite by the river and in a typical house, surrounded with olive trees, that we will settle our base camp for these 11 days of holidays and kayak in Morocco.